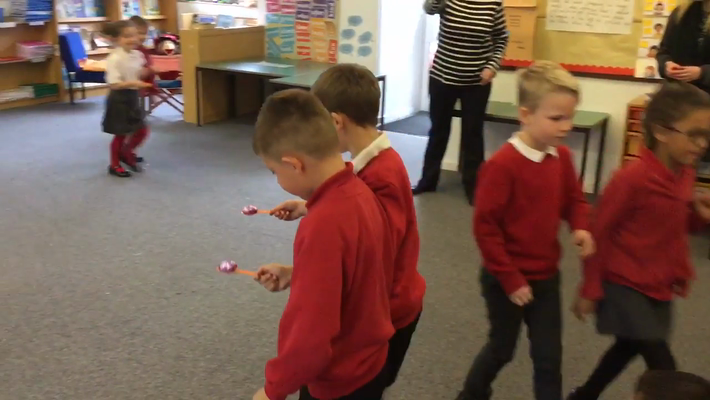 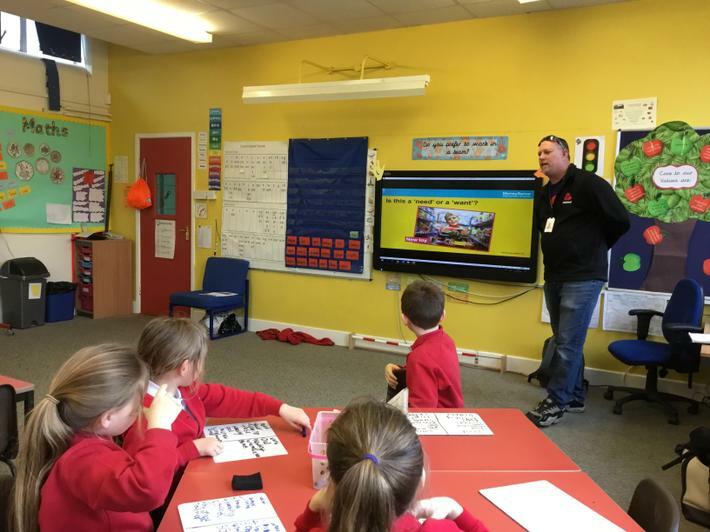 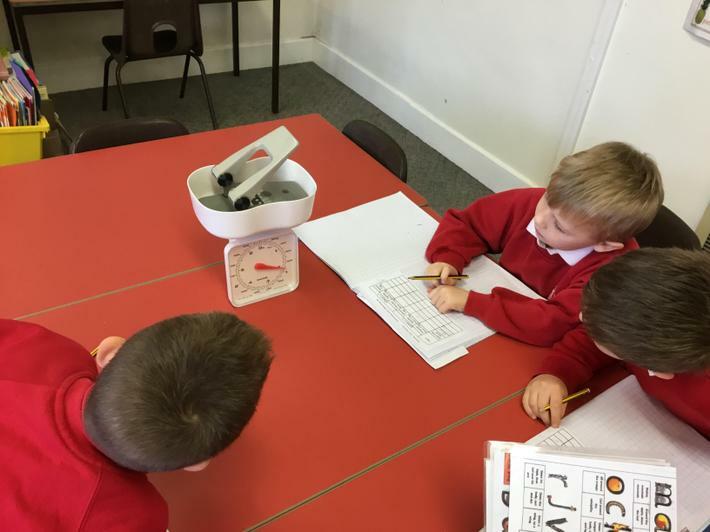 This term we have been listening and appraising pieces of reggae music. 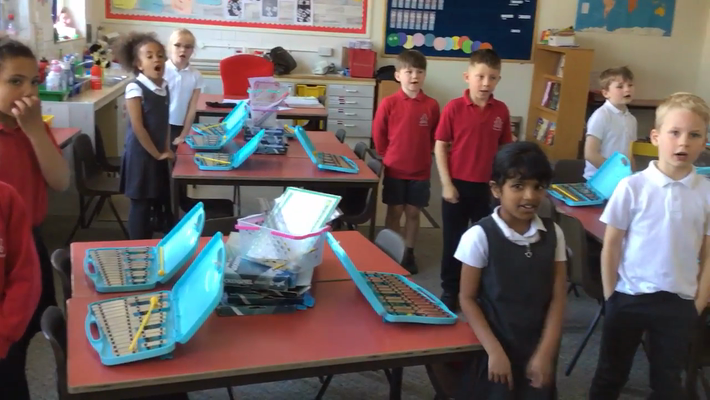 We played C and D notes, in time, on a Glockenspiel to a reggae style song. 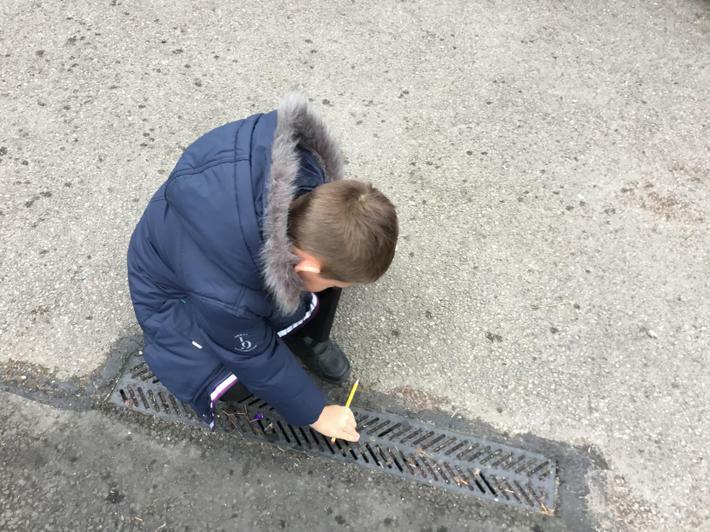 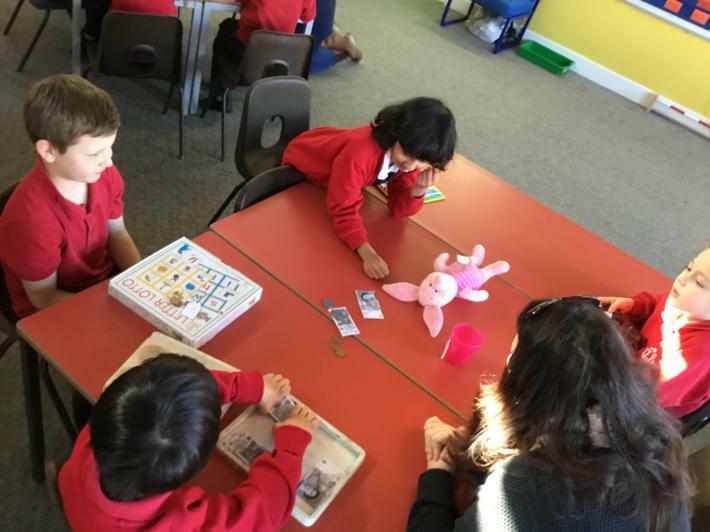 In class we have recognising value of money, making totals, adding amounts of money, exchanging coins and using subtraction to give change. 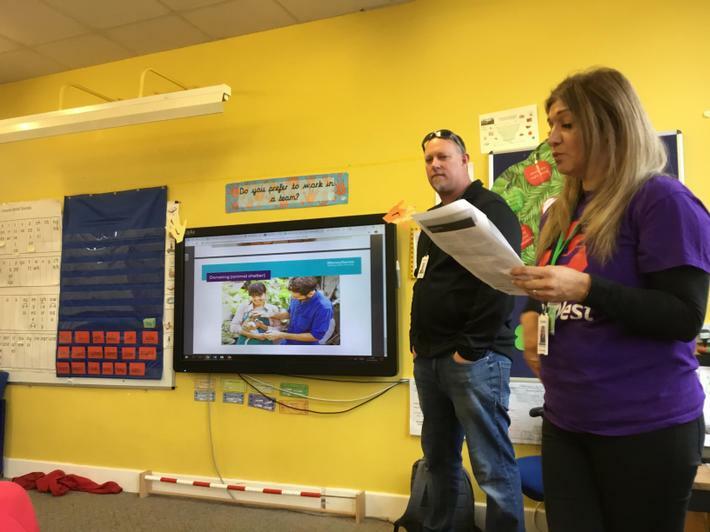 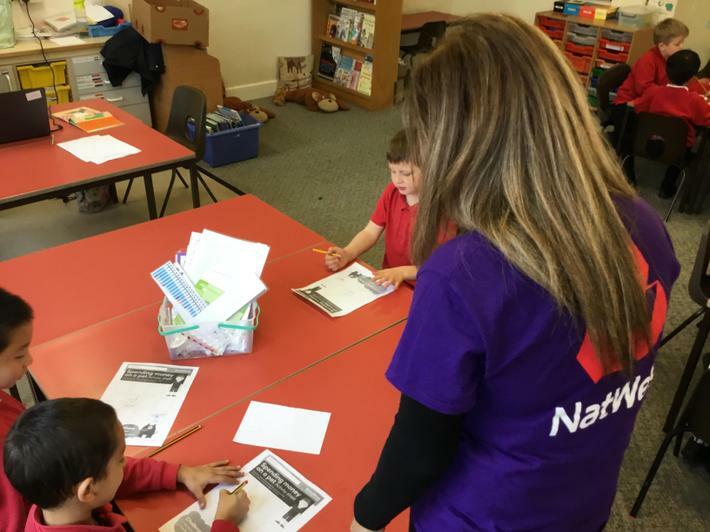 We had a visit from Brian & Penny who work at NatWest bank. 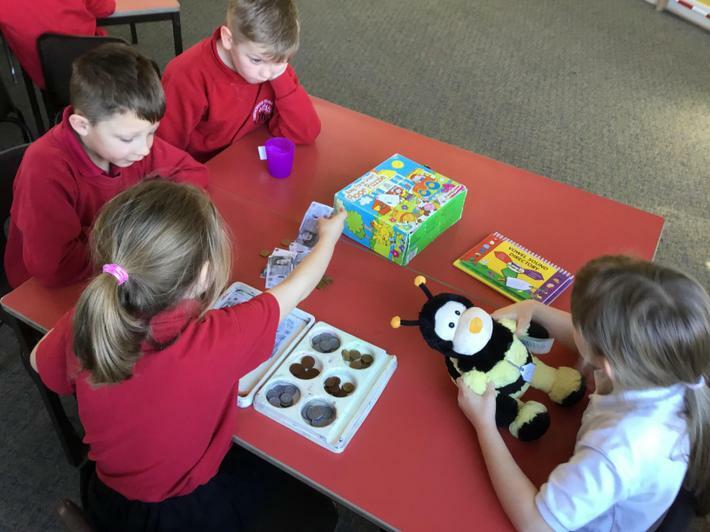 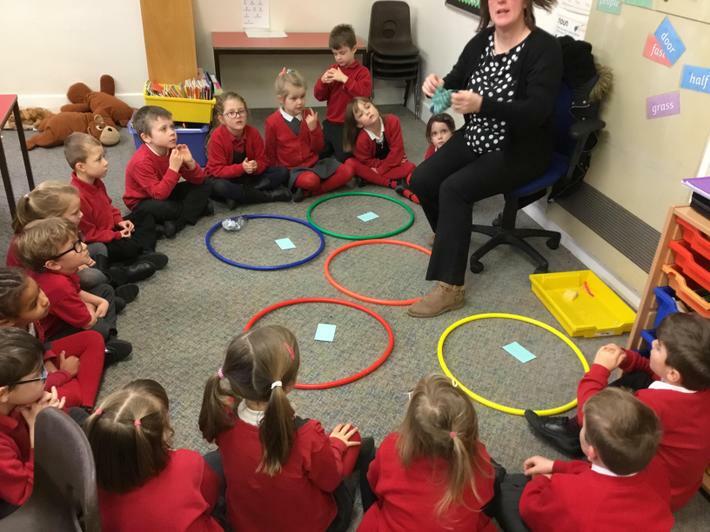 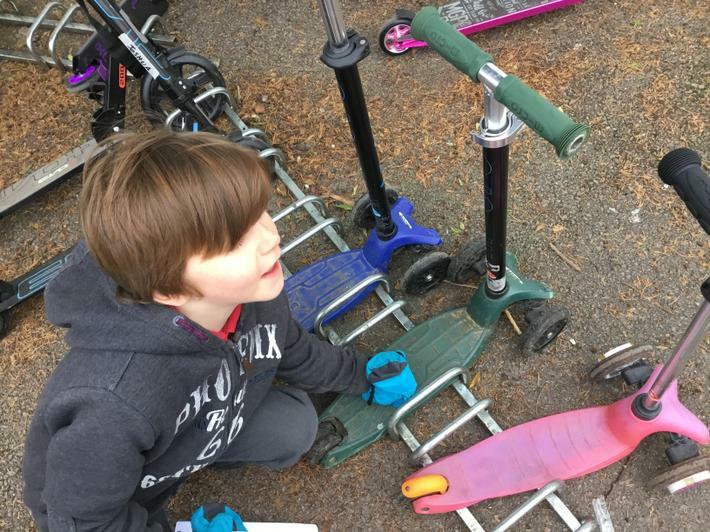 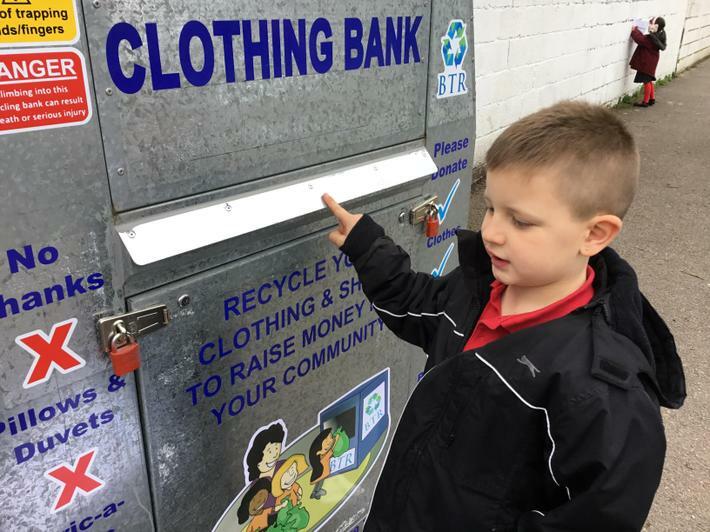 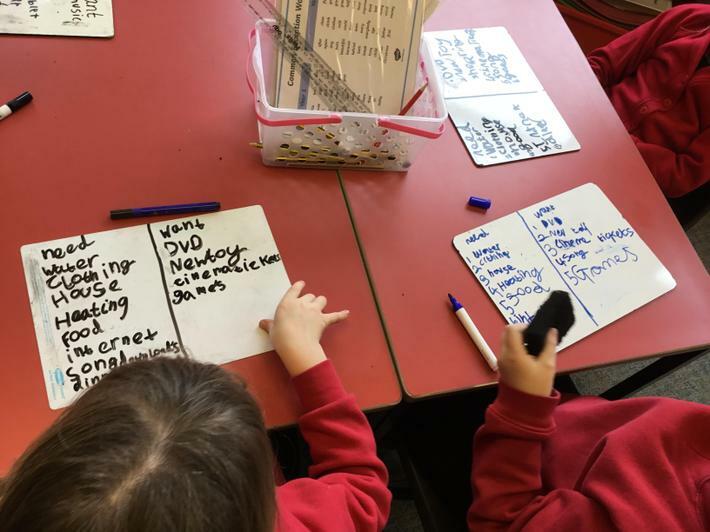 They helped us think about our 'needs' and 'wants' of items to spend our money on. 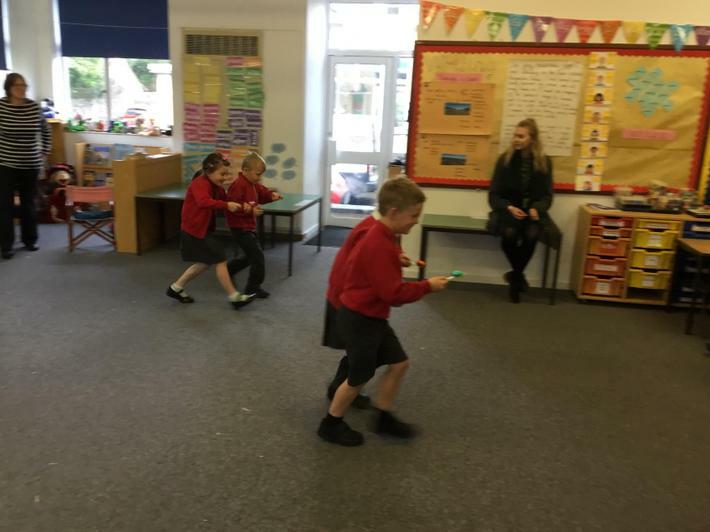 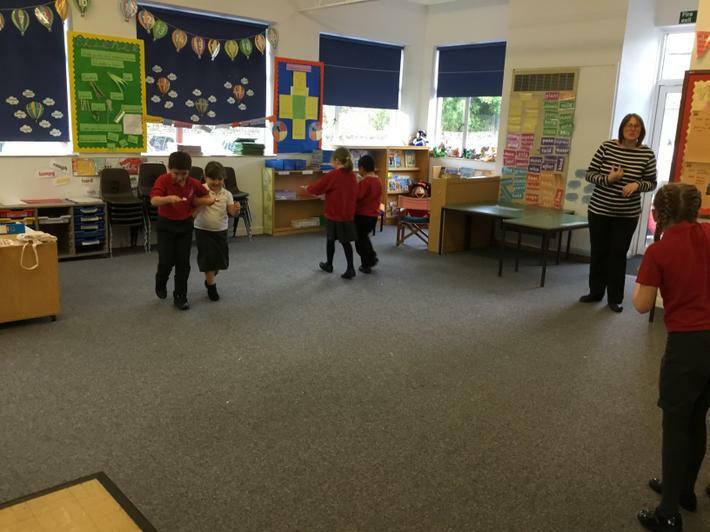 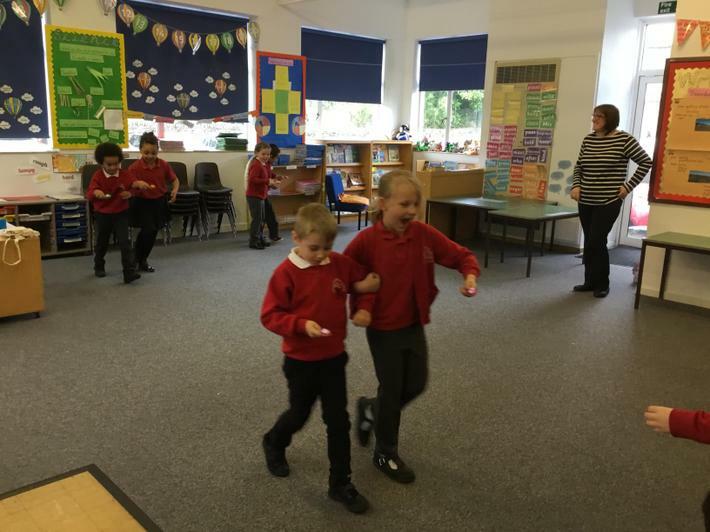 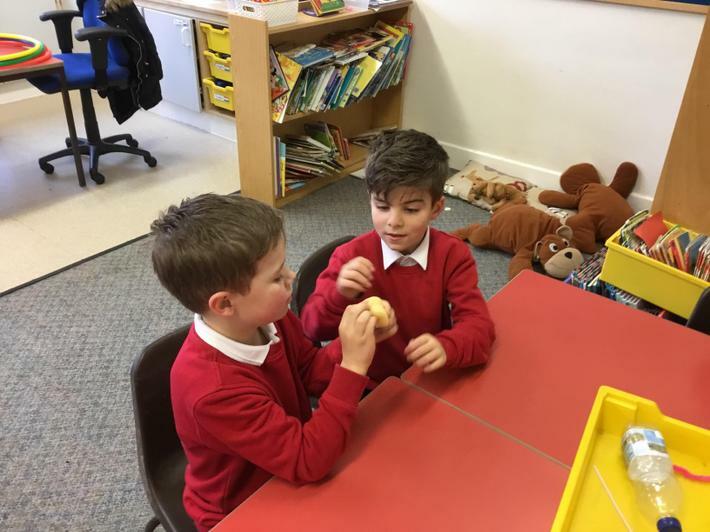 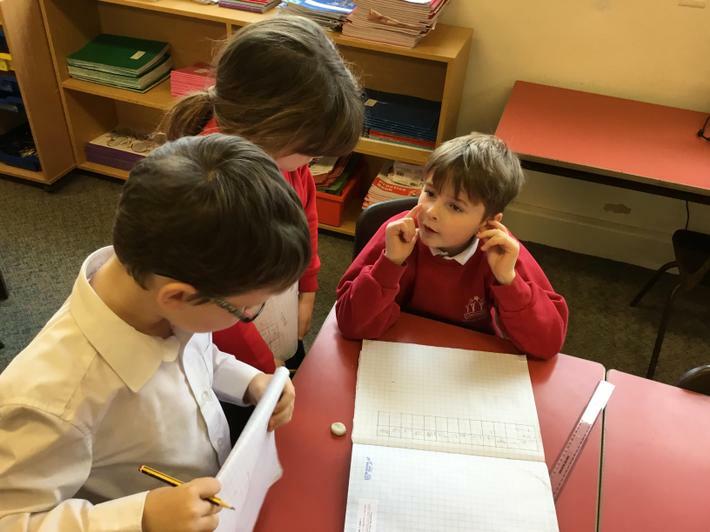 We practised adding costs and exchanging money through role play. 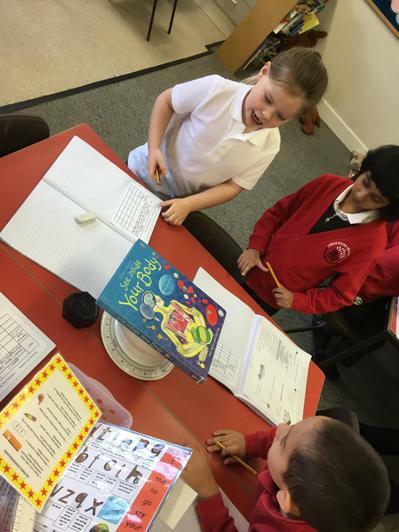 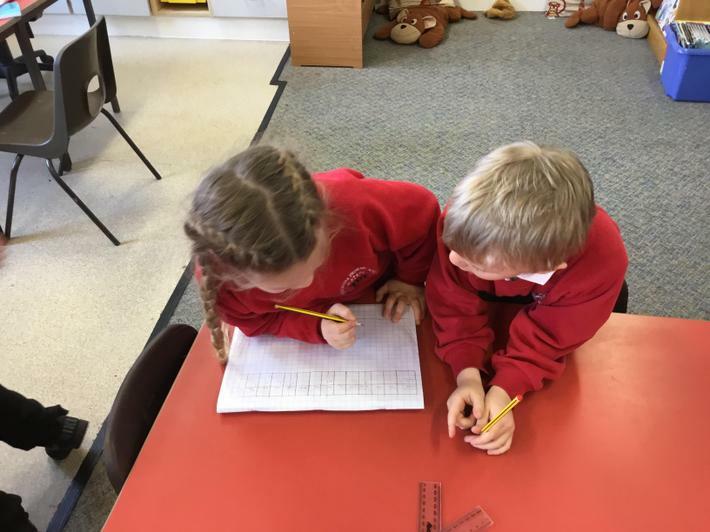 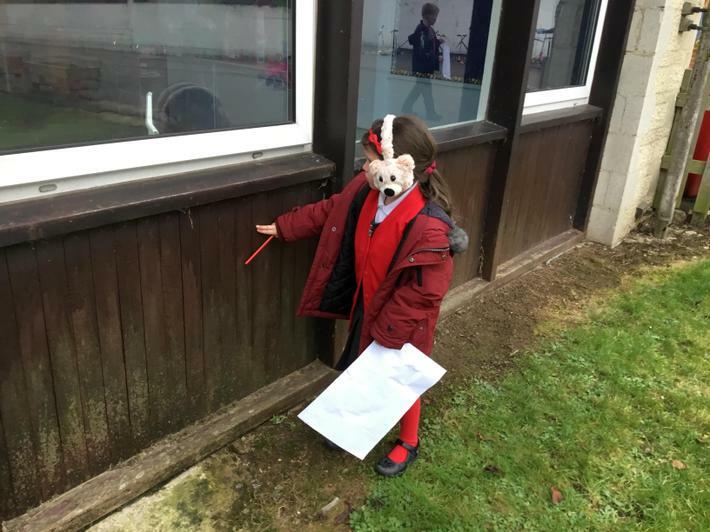 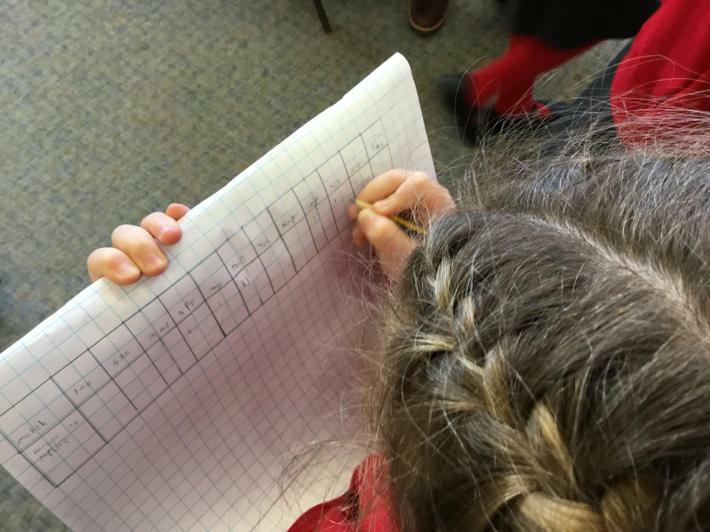 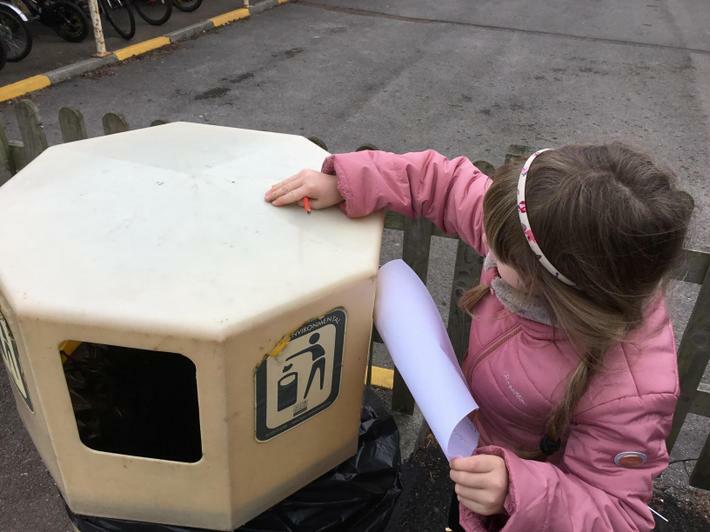 We have been collecting data about various topics, recording amounts in tally charts and the transferring the information into pictograms. 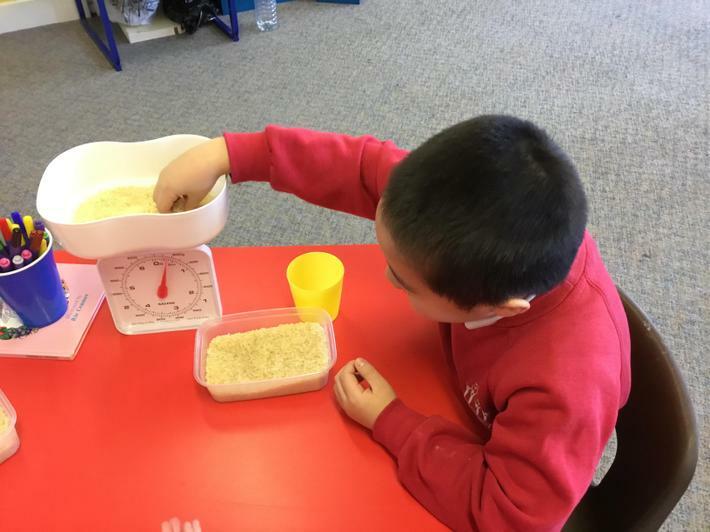 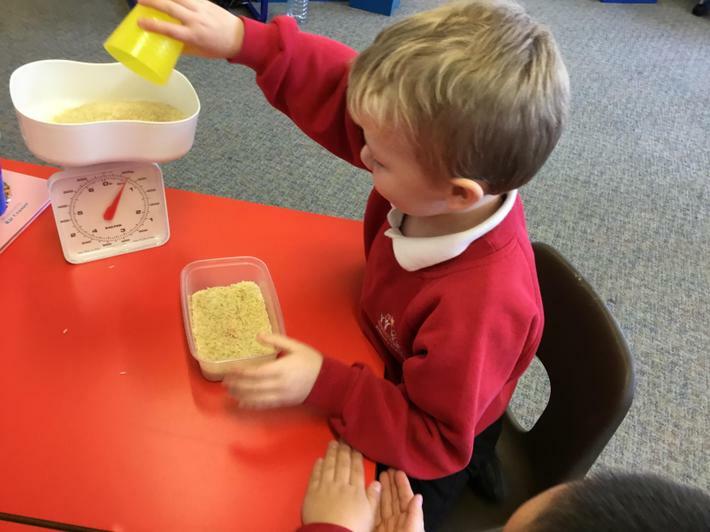 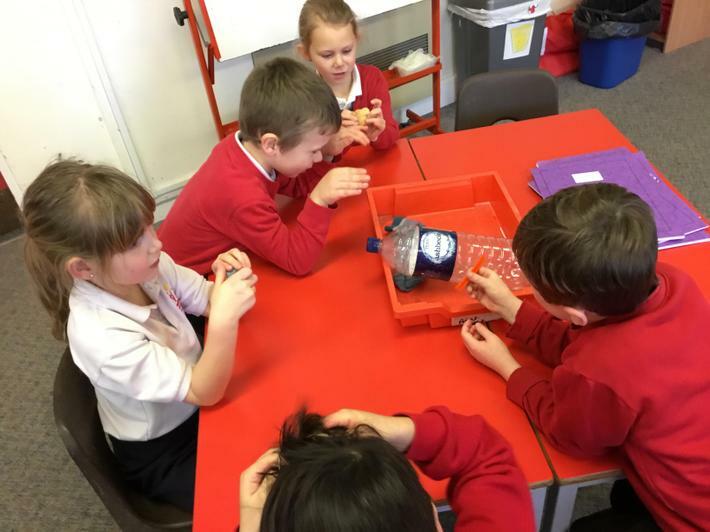 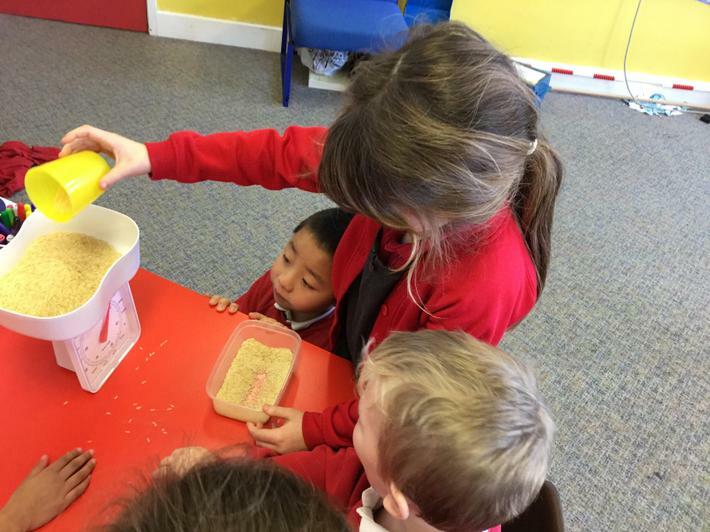 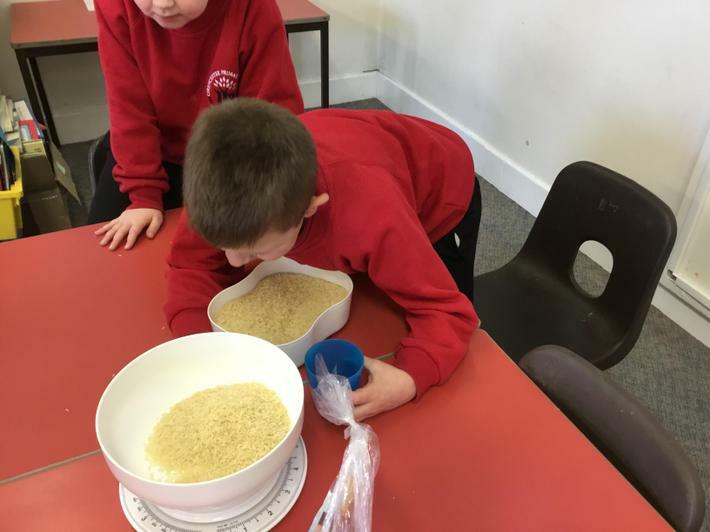 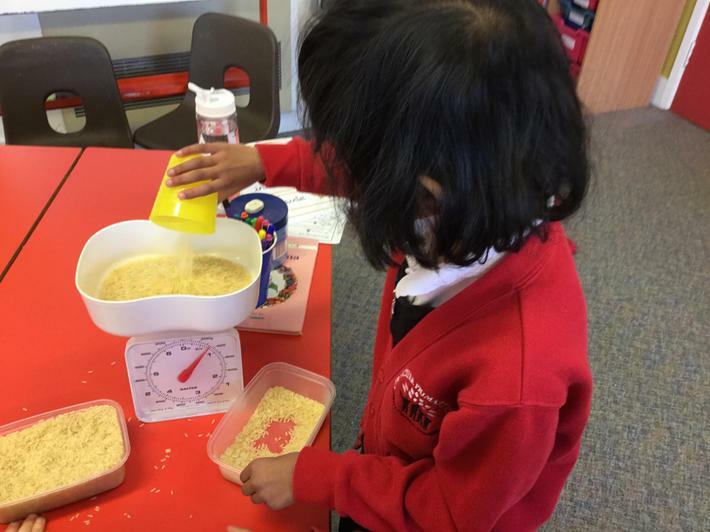 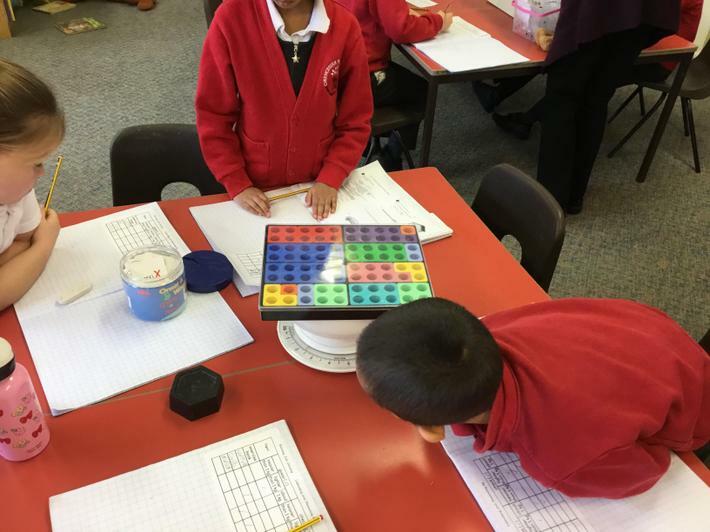 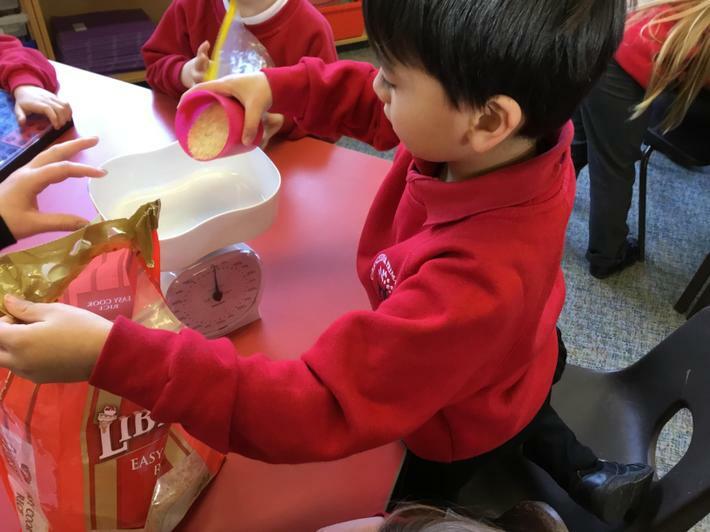 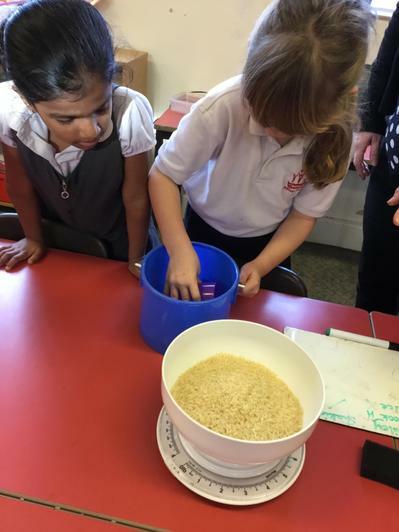 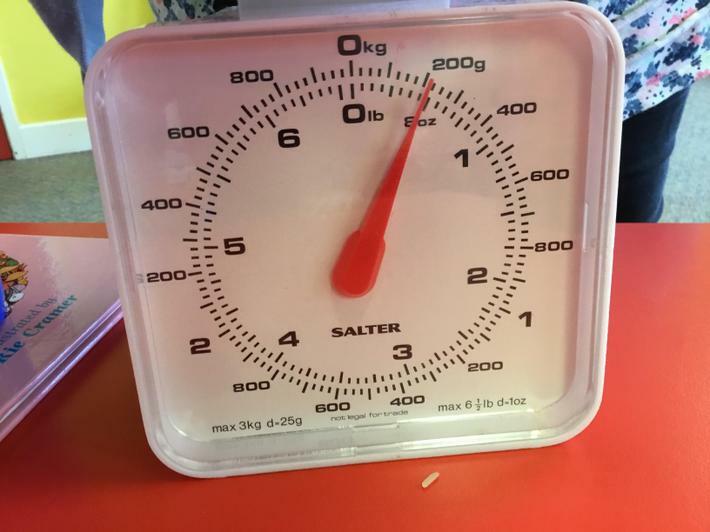 We have been measuring mass in kilograms and grams. 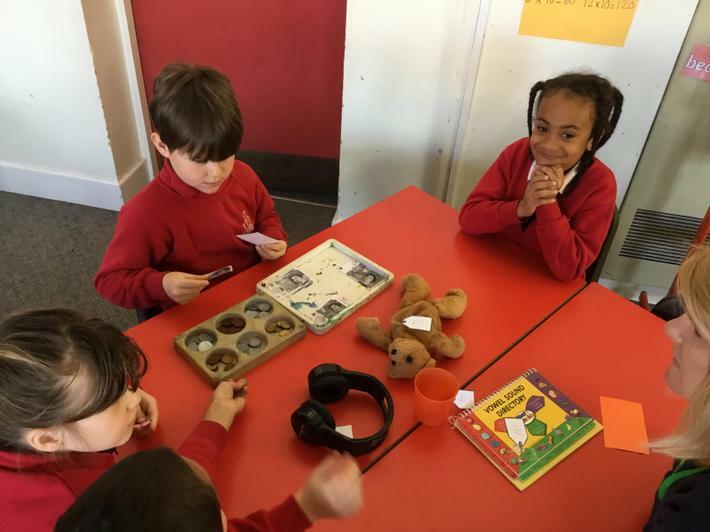 We have been naming, recognising and grouping materials. 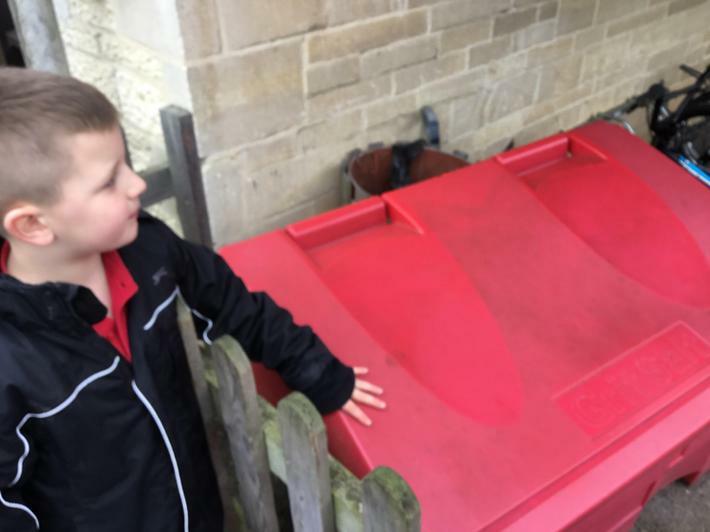 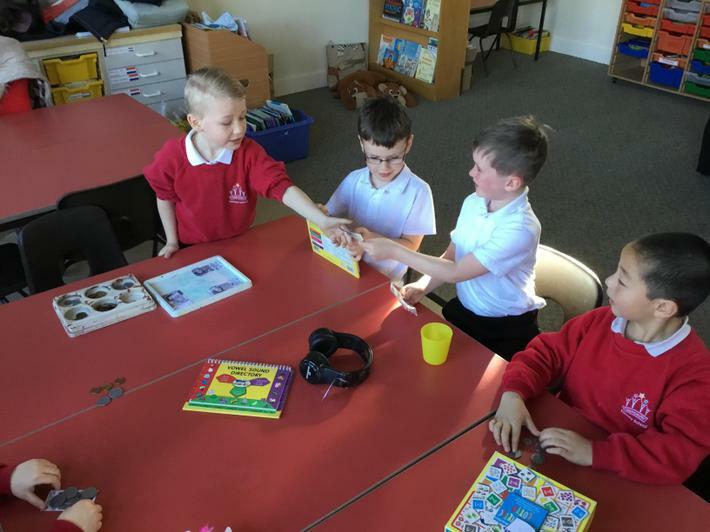 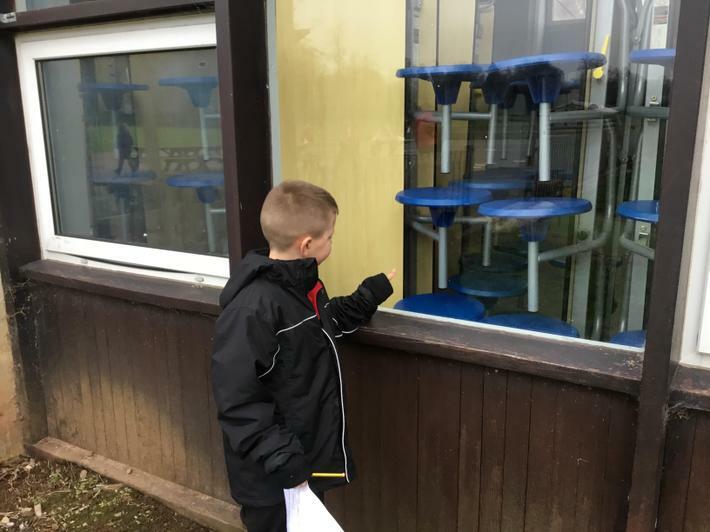 Here were are feeling and describing materials around the classroom and school. 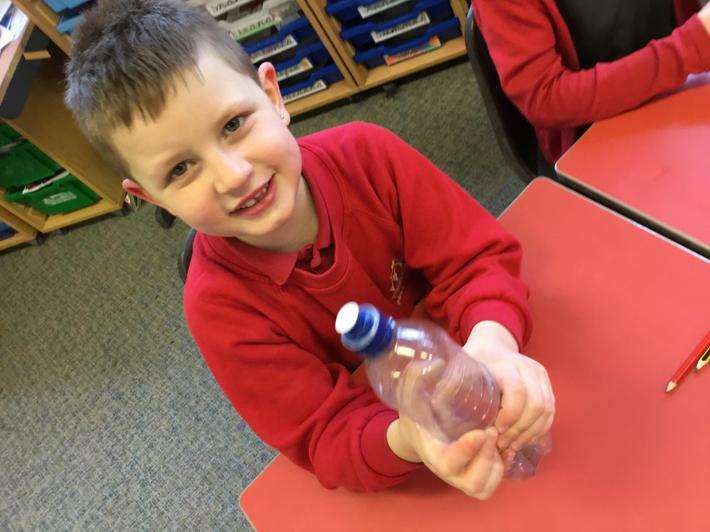 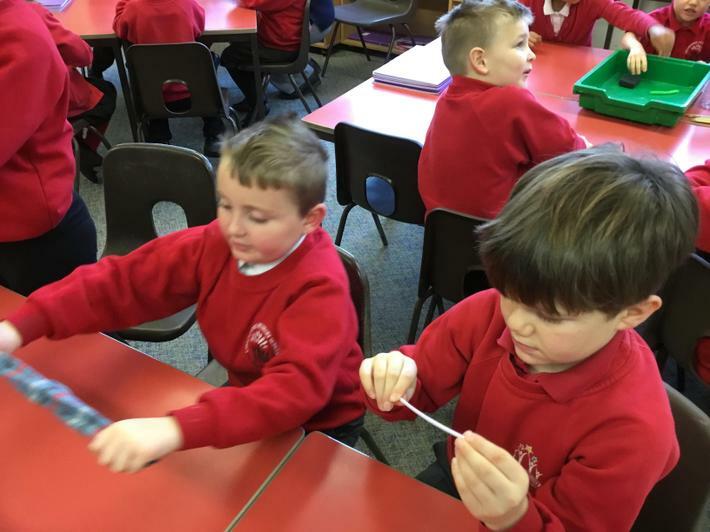 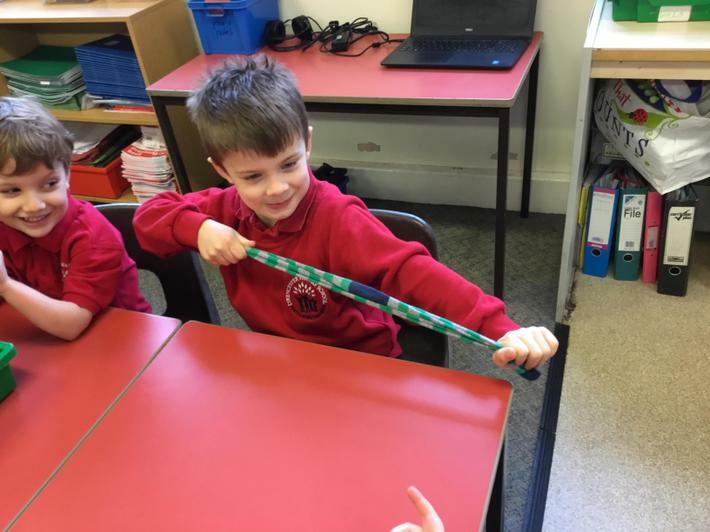 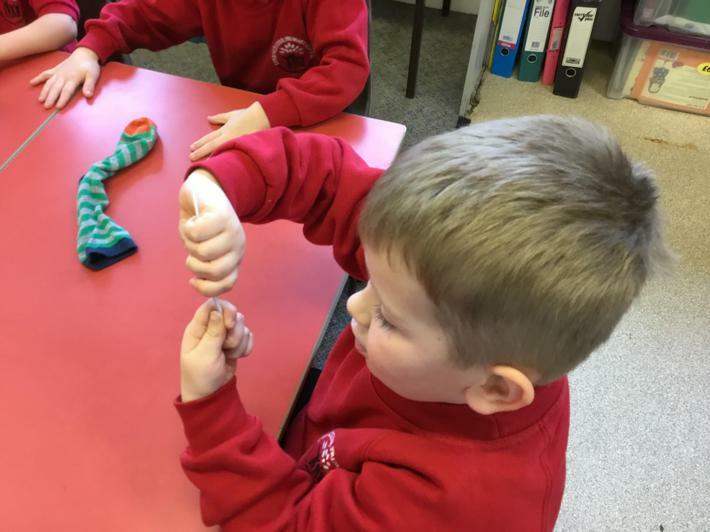 We have been exploring how we can change materials by bending, twisting, squashing and stretching them. 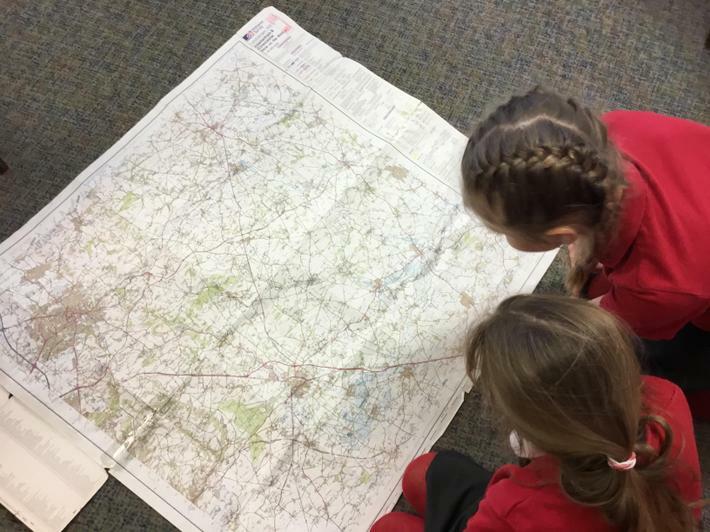 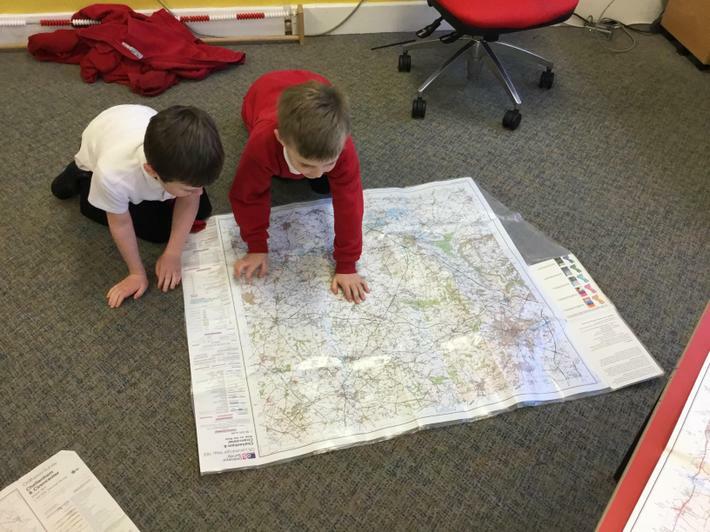 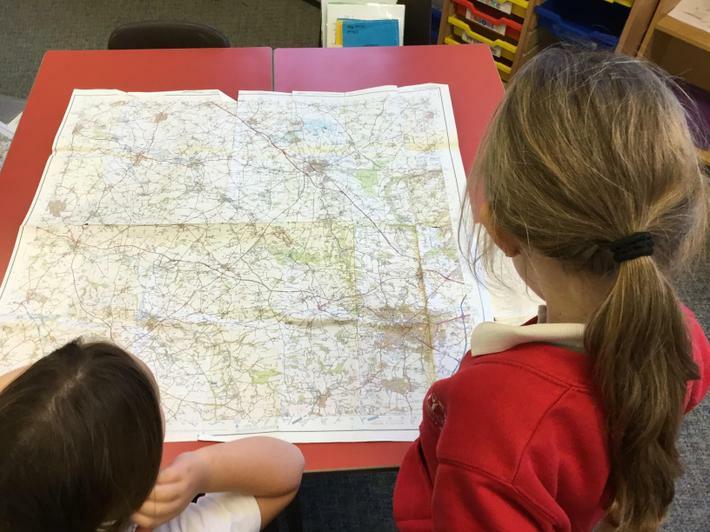 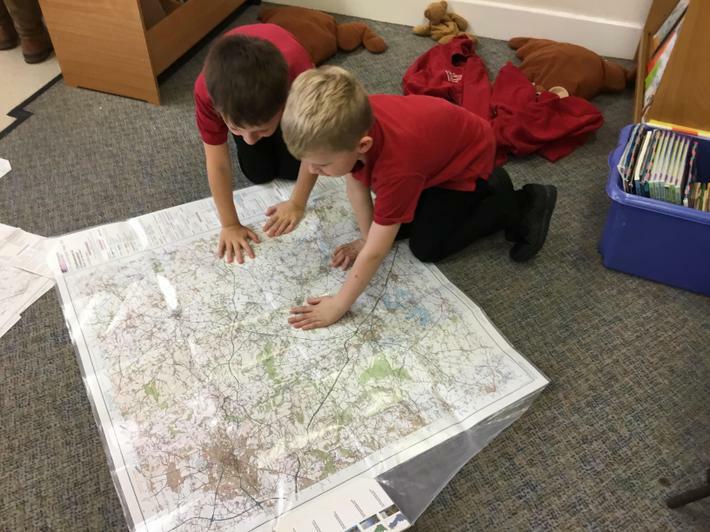 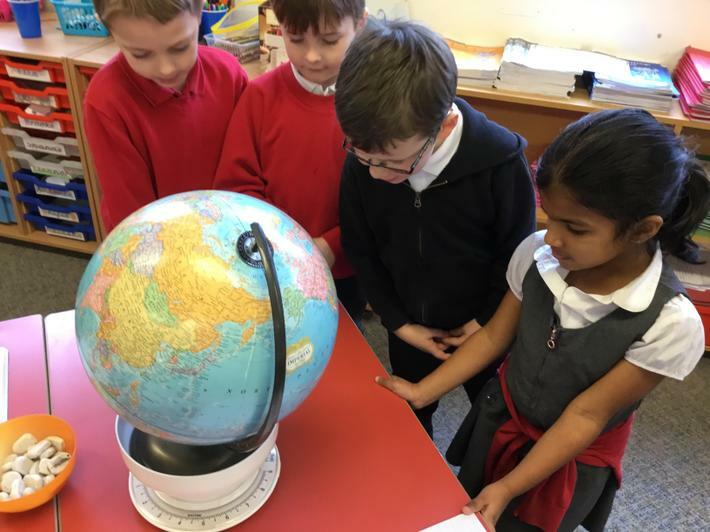 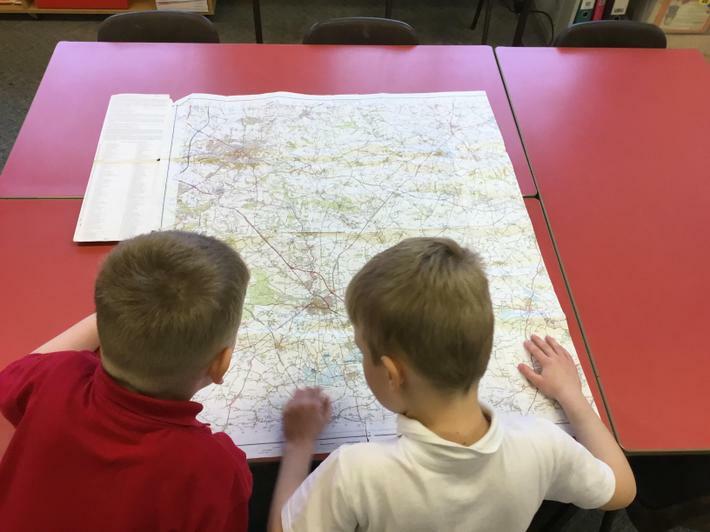 We have been looking at maps to find and name common symbols.